The former Public Library on the Prinsengracht Canal, was reborn as the luxury-lifestyle Andaz Amsterdam Prinsengracht hotel in October 2012. With a superb location in the cultural heart of Amsterdam, the hotel feeds off the creative energy of the lively Jordaan district and the charming Nine Streets, just a short stroll away. 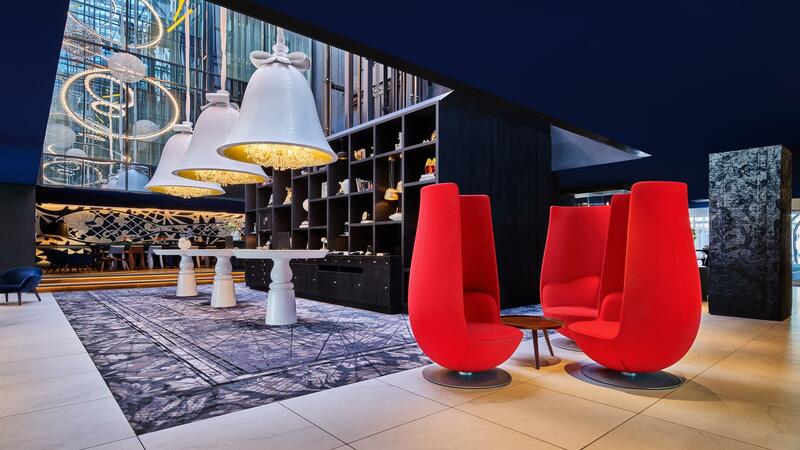 Guests can trust in uncomplicated, personalised service and unique local experiences, in an atmosphere that authentically embraces the best of Amsterdam through its eccentric design by world renowned Marcel Wanders. Around every corner there is another story and the 122 stylish guestrooms, including five suites, one with a penthouse terrace, the largest hotel terrace in the city overlooking Amsterdam’s canals, are no different. Stylish and spacious rooms and suites feature bespoke artworks, quirky design features and inspiring views over the picturesque canals, the observatorium-themed atrium, or the hotel’s secret garden. 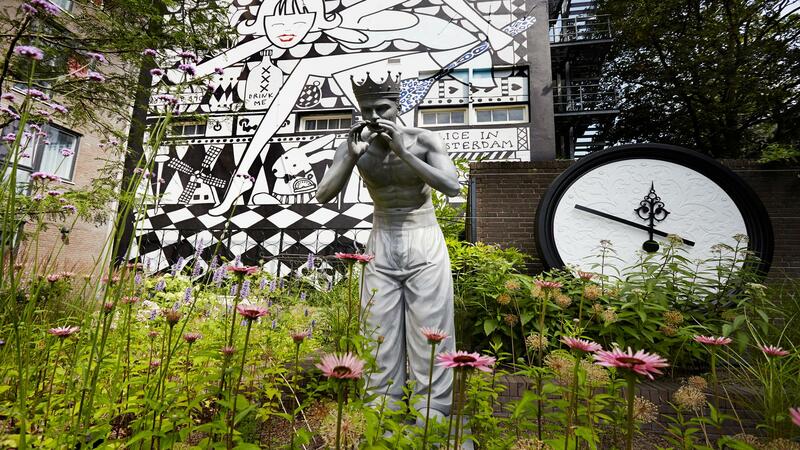 Every space in the hotel, uniquely designed by the iconic Dutch designer Marcel Wanders, reflects a modern and adventurous view of Dutch history, local culture, video art and the Alice in Wonderland’s dream world. Guests will find grand princes in our garden, video art in the chandeliers, as well as tulip chairs, historic maps and iconic illustrations reminiscent of Dutch history. All illustrations are taken from books found in the former Public Library. Something totally unique, the hotel boasts the largest video art collection in Europe and over 50 works can be found in the public areas and guest corridors. Notable hotel features include Bluespoon Restaurant & Bar, led by Executive Chef Sander Bierenbroodspot and Bar Manager Martin Eisma. The award-winning Bluespoon Bar champions Alice in Wonderland-inspired cocktails focused on sustainable bartending, whilst at Bluespoon Restaurant, local ingredients are combined to present picture-perfect seasonal European dishes with a Dutch edge. 598 square metres of inspiring Studio event space, a signature spa and a fully equipped 24-hour gym complete the Andaz experience. With everything from the whimsical design of the hotel, to our location in the lively heart of Amsterdam, a short walking distance from the city’s sought-after museum, fashion and business districts, Andaz Amsterdam Prinsengracht is an ideal destination for business and leisure travelers alike. Whether working or relaxing, Andaz Amsterdam Prinsengracht offers these amenities and attractions for you to enjoy; Contact your agent for more details.